Telecom service providers in India have identified the right nerve of the customers which makes them to go for postpaid connections. It’s the right and cheap price other than attractive calling rates. Companies already have their Rs. 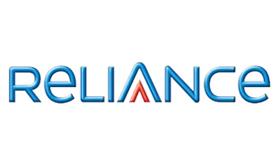 199 plan but Reliance Communications has revamped it to attract more customers. A Rs. 199 postpaid plan which gives free local talktime of Rs. 100, unlimited SMS to Reliance phones all over India and 50 local SMSes every month. Local call rates are not that expensive which comes to Rs. 1.2/min including mobiles and other fixed lines whereas STD is charged at Rs. 2.4/min. Local SMS are charged at Rs. 0.50 while National and International at Re. 1 and Rs. 5 respectively. That’s not all. During the off peak hours (between 10pm – 8am) all local calls to phones other than Reliance costs just 50 paise/min and free calling on local Reliance phones. Users will also get free 10 ringtones and games every month or they can download it as much as they want before 30th September. If we compare, the local call rates are at par with other operators which cannot be termed as a distinguishing factor. But if more of your acquaintances own a Reliance number, this is the one you should get. Unlimited messaging and free calling during off peak hours to Reliance would definitely slash your monthly bill rates.